Well hello! Thanks for everyone who came out to Willow and my first live demonstration promoting the Essential Urban Farmer. 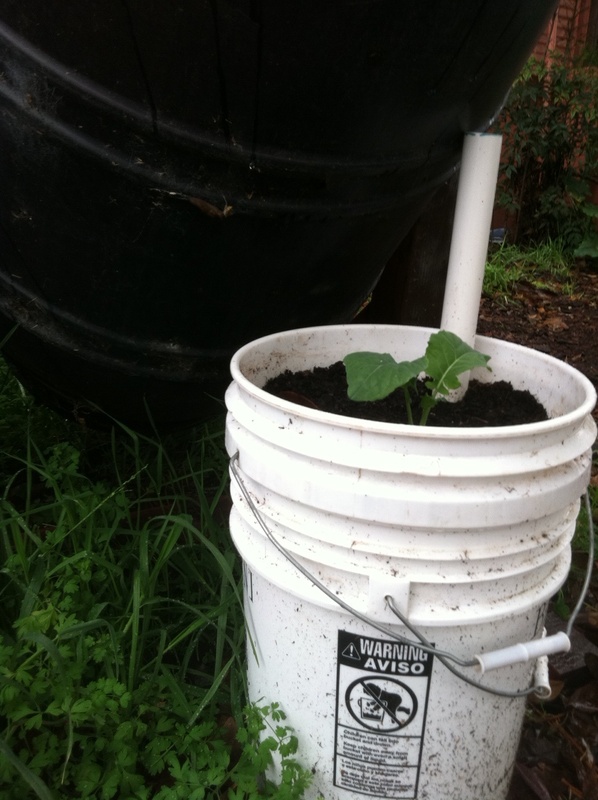 We showed people how to build this sub-irrigation planter with repurposed plastic buckets. the white pvc pipe connects to the water reservoir below. I can’t wait to grow a tomato plant in it this summer. We will be doing another talk on UCBerkeley’s campus this Monday, March 19 at Barrows Hall, 6:30pm. We’ll do a powerpoint presentation, there might be silk screening of aprons! Next, March 24, I’ll be tabling at what sounds like an amazing conference, called the Economics of Happiness. Then, April 1, it’s open farm day!!! I’ll be selling greens, t-shirts, and copies of the Essential Urban Farmer. Come on by! 11am-2pm. Corner of MLK and 28th street.